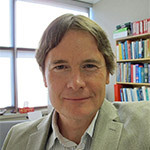 Dr. Williams is a professor in the Faculty of Health Sciences, University of Lethbridge, in Lethbridge, Alberta, Canada and also a Research Coordinator for the Alberta Gambling Research Institute. Dr. Williams teaches courses on gambling; provides frequent consultation to government, industry, the media, and public interest groups; regularly gives expert witness testimony on the impacts of gambling; and is one of the world’s best funded gambling researchers. Dr. Williams is a leading authority in the areas of: prevention of problem gambling; Internet gambling; the socioeconomic impacts of gambling, the proportion of gambling revenue deriving from problem gamblers; the prevalence and nature of gambling in Aboriginal communities; the etiology of problem gambling; and best practices in the population assessment of problem gambling. The online gambling industry is often steeped in corruption and greed and calls for proper regulation. From a scholar's point of view how do you perceive the industry? The industry is the ‘wild west’ from a consumer perspective. It is a wide mixture of unfair and unscrupulous operators; well respected, well run state operators; and everything in between. There are many jurisdictions (i.e. Alderney and Gibraltar) that grant online casinos a license. In your opinion which jurisdiction/s are reputable and why would you say so? European jurisdictions tend to be more reputable than other jurisdictions (e.g., Caribbean). However, I have not done sufficient cross-jurisdictional research within Europe to identify which specific countries are the better ones. I mentioned regulation in my opening question. Internet gambling is not going to go away, which mechanisms must governments employ to properly regulate it? Governments should license all operators, with the license being contingent on demonstration of fair games and responsible gambling practices. Is regulation a good thing since the economic and social costs of gambling online can result in a net loss for families? The ‘cat is out of the bag’. It may have been better not to legalize online gambling in the first place. However, now that it is, regulation is the only way of trying to control was is provided and to minimize the harm. I see that you and two of your colleagues released a new book titled: ''Routledge International Handbook of Internet Gambling'' tell us more about it? It is a book that provides comprehensive and up-to-date coverage of all the legal, policy, and economic issues associated with Internet gambling. Does Internet gambling encourage problem/under age gambling? Why would you say so? Internet gambling does contribute to problem gambling due to its greater convenience, 24 hour accessibility, solitary nature of the play, and ability to play while intoxicated. Most western jurisdictions prohibit 24 hour provision of land-based gambling (as well as alcohol) because it is recognized to be counter-productive to safe provision. Thus, the justification for these same jurisdictions to provide 24 hour online gambling is unclear. There are a couple of watchdog sites that look after the interests of casino players (Casinomeister and Askgamblers.com). Do you think the industry is properly policed? No, I do not think that the industry is properly policed. You are correct in pointing out that despite many years of ongoing efforts to create industry-wide standards, only a minority of sites and/or owners have sought and/or received some form of accreditation (eCOGRA certification and/or membership in the Remote Gambling Association being other certification bodies). Furthermore, the online gambling industry has expressed reluctance about cross-operator application of player-imposed restrictions because of privacy issues, cost, trust, and differing technology standards. You are also correct in pointing out that although these accreditation bodies are ostensibly trying to create ‘player protection standards’ (among other things), these are industry rather than consumer-led initiatives.